Apple Valley is located in the Victor Valley of San Bernardino County, California, incorporated on November 14, 1988. The town of Apple Valley is located 10 miles east of neighboring Victorville, 37 miles (60 km) south of Barstow and 46 miles (74 km) north of San Bernardino through the Cajon Pass. In the early 1900s, resident, Ursula M. Poates is credited with giving the area its name by simply shortening the name of the locally based Appleton Land Company and calling it Apple Valley. “There were some apples being raised along the river in those early days, but not by the ton, so I just cut it down and called it Apple Valley!” The name was official in 1949 when the first post office was established. 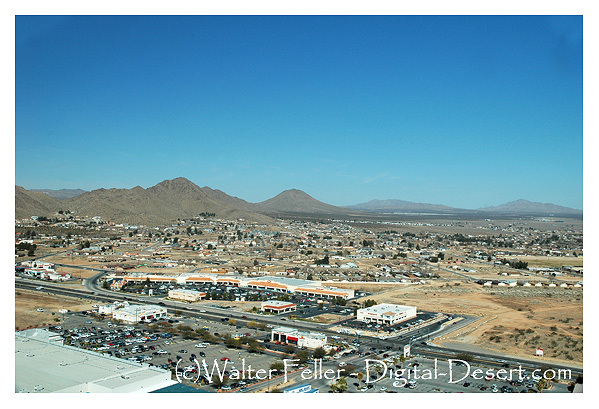 Apple Valley is located near the southern edge of the Mojave Desert. It is bordered by Victorville on the west and Hesperia on the south sides. Apple Valley is governed by a town council. The Mayor changes each December by a vote of the five-member Council. Apple Valley was home to Roy Rogers and Dale Evans, whose museum was first established in Apple Valley (in 1967) before the museum was relocated to Victorville in 1976. Since 2003 the museum has been in Branson, Missouri, United States. Apple Valley is the final resting place for both Roy and Dale. Ursula Poates' plan for the town of Apple on her property was never realized, but when the improvement association adopted the name of "Apple Valley" for their community, they preserved, if not her dream, at least the name she created for the valley." Apple Valley was also where most location filming was done for the Sky King TV series in the late 1950's.